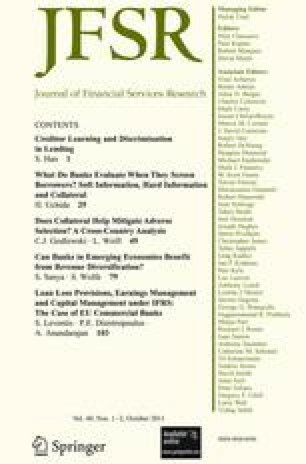 By applying factor analysis to unique data on loan screening for small and medium-sized enterprises (SMEs) in Japan, we investigate the factors that banks actually evaluate when underwriting commercial loans. We find that banks emphasize three factors when they decide whether to grant loans: the relationship factor, the financial statement factor, and the collateral/guarantee factor. We also find that smaller banks place greater emphasis on the relationship and the collateral/guarantee factors, and that banks under competitive pressure emphasize the relationship factor to a greater extent. We interpret these findings based on the theory of relationship lending and lending technologies. This study was conducted as a project of the Finance and Industrial Network Workshop of the Research Institute of Economy, Trade, and Industry (RIETI), and of the Program for Promoting Social Science Research Aimed at Solutions to Near-Future Problems (Design of Industry and Financial Network where Sustained Growth is Enabled) of the Ministry of Education, Culture, Sports, Science and Technology. An earlier version of this paper was presented at the RIETI. The author would like to thank an anonymous referee, Hikaru Fukanuma, Nobuyoshi Yamori, Hideaki Hirata, Tadanobu Nemoto, Daisuke Tsuruta, Tsutomu Watanabe, Xu Peng, Wako Watanabe, Takashi Hatakeda, and Yoshiro Tsutsui for useful comments. This paper is written based on my critical evaluation of a study with Greg Udell and Nobuyoshi Yamori (Uchida et al. 2008). The author thanks the co-authors for useful discussions when writing that paper. This study was supported financially by the Zengin Foundation for Studies on Economics and Finance.